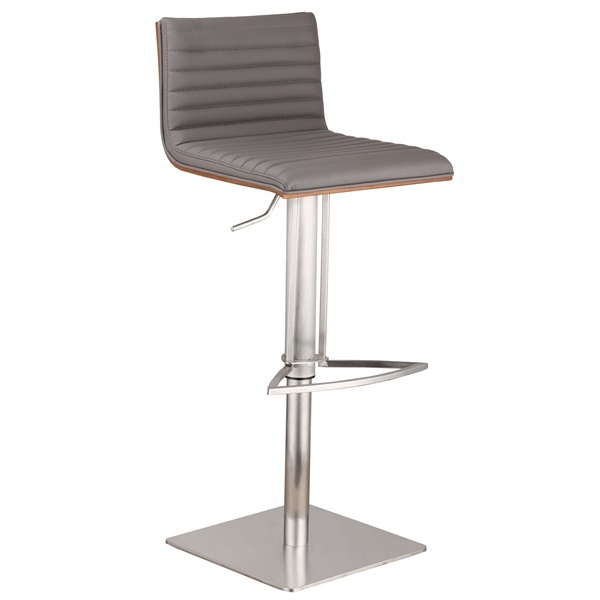 Whether you are looking for bar stools for your home bar or kitchen, you are going to love the Cafe Adjustable Bar Stool from the Armen Living collection. Their contemporary design enhances your home bar or kitchen design to give you a beautiful chic look. Finished using brushed stainless steel and your choice of colors, these stools are finished with seat wrapped in PU and a back made of walnut veneer. The base swivels and the height is adjustable to make it completely adjustable to your needs. Expert upholstery in durable polyurethane. Your choice of neutral hues. Complements other Cafe pieces by Armen Living.